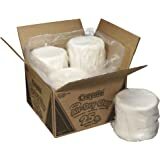 Sold by cargo co. and Fulfilled by Amazon. 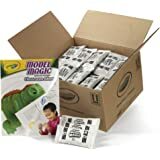 Amazon's Choice for "1 dollar toys"
Ships from and sold by USTrade Mart LLC. 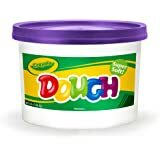 Modeling Clay, Four 1/4-lb. pcs. - Red, Yellow, Blue, Green. At Crayola, We Believe Being "Responsible" Means Doing What Is Right. It Is Being A Good Citizen In The Communities And Countries Where We Operate And Our Products Are Found. 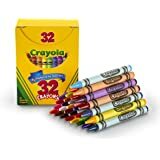 It Means Incorporating Social And Environmental Priorities And Practices Into Our Crayola Brand, Our Products And Our Relationships With Customers, Vendors, Consumers And Employees. 4.0 out of 5 starsCannot copy newspaper print but still an amusing toy. 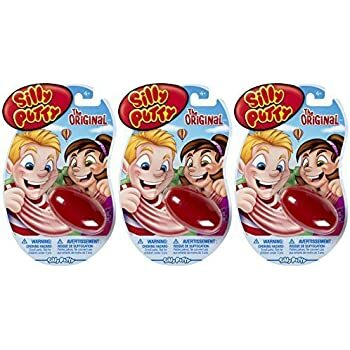 My siblings and I use to have silly putty when we were younger and we enjoyed it so much! 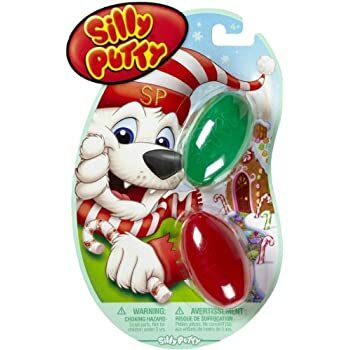 So, I decided to get this Crayola Original Silly Putty as a Christmas stocking stuffer for my nephew. He was fascinated with it. While it doesn't seem to pick up print from the comic pages like I recall, it can still be stretched and made into a ball and such. It's the texture that got him hooked on it. He likes to knead it around in his hands and surprisingly that keeps him busy for a little while. It comes in a plastic egg-shaped storage container to keep it nice and neat when not in use. Overall, my nephew got a kick out of it and I love the memories it brought back for me. 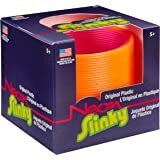 This product was a personal purchase, not a review purchase. I am reviewing it solely because I want to share my experience with other potential customers. I have received no compensation for my review. 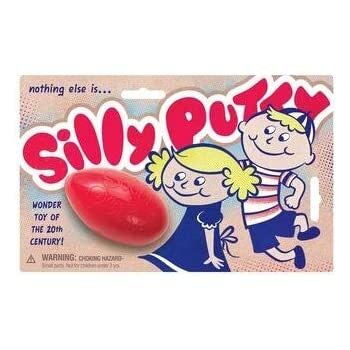 My old piece of Silly Putty is about thirty years old, and has gotten too stiff for me to use. 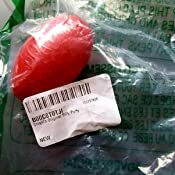 Silly putty is very useful for taking impressions off of machined parts, which allow you to examine and measure the 'reverses' of the machine part. Sometimes the only way you can get an idea of how some part is made is by doing a reverse part. Hard to explain, but a huge number of machinists have a bit of silly putty squirreled away somewhere in their tool box. It may wait a year, or get used every day, but it's there. This is NOT! a 1/4 lb piece of putty. It is regular sized, about 1" square. I failed to read the Q & A section that addressed this issue. Otherwise, I would not have purchased this item. The low rating is for the price. You can get these just about anywhere for about a dollar. 5.0 out of 5 starsI'll address two issues reported. 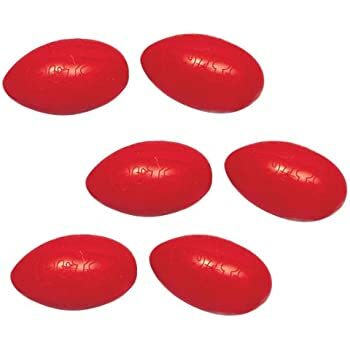 I've enjoyed playing with Silly Putty for 30+ years and always keep an 'egg' of it at home, in my vehicle, and my desk at the office. I kneed and form it similar to how some people use stress balls; I'm fidgety by nature so I can spend hours playing with it while working and doing other things. 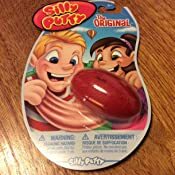 I haven't outgrown Silly Putty yet so I doubt I ever will. Silly Putty will no longer pick up newsprint, but this isn't because the Putty changed, it's because newspapers have all switch to soy-based instead of oil based ink. 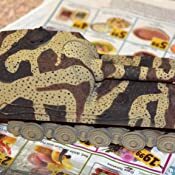 The ink used on modern newspapers can no longer be pulled off like in the past, I've even tried using some 'vintage' Silly Putty I had but the modern ink doesn't behave like the old oil ink. 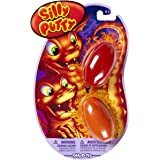 Silly Putty can be cleaned u pwith rubbing alcohol. The Silly Putty was just like the original that I loved and enjoyed as a child. I put it in the grandchildren's Easter baskets. As soon as my granddaughters opened theirs I heard my son comment. I remember this, come here girls and let me show you how it works. He got the Sunday color comics and quickly showed them how to copy the pics and then stretch them. The girls, ages 7 and 4 were quickly doing it by themselves and having fun. I highly recommend. I received the product for free or at a discount in exchange for my honest review. 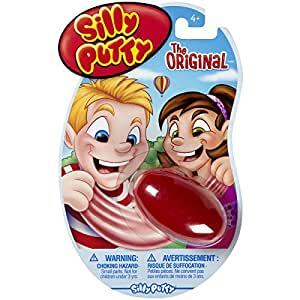 Doesn't transfer comics like the old silly putty. 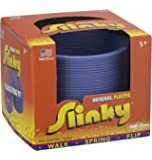 This product takes me back to childhood. Pop it, bounce it, twist it, and (if you still have newspapers) copy images. 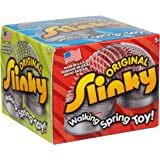 I use it with students and myself for sensory purposes. 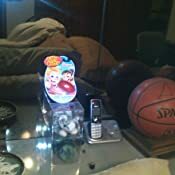 This classic putty is not too too interesting to luck at, so it doesn't take attention away from their focus on me. I am very satisfied.